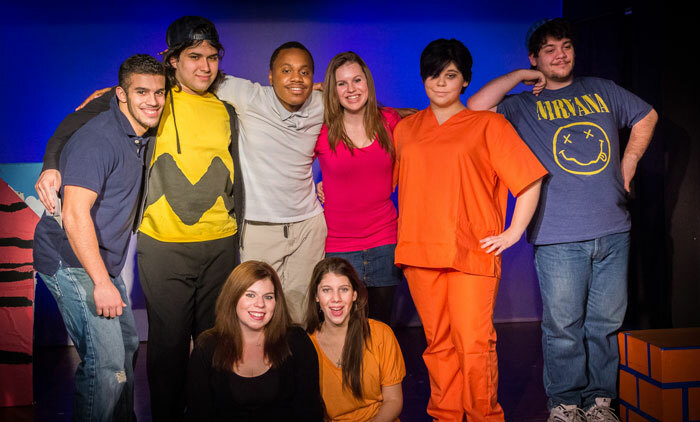 Sullivan Theatre’s resident acting company, mounts two major productions each academic year. In the fall the production is usually a straight play, comedy or drama, and in the spring a musical from the Broadway repertory. Auditions are announced in advance and are open to everyone. In addition, other smaller productions may be presented during the course of the year. Many productions are student directed. The Players won the SGA Phoenix Award in 2010.
present two concert performances each year, a holiday concert in December and a spring concert in April. We perform choral music, a cappella pieces and do solo work. The group also performs for other college and community functions. Both of these groups are open to student, faculty and staff as well as alumni.